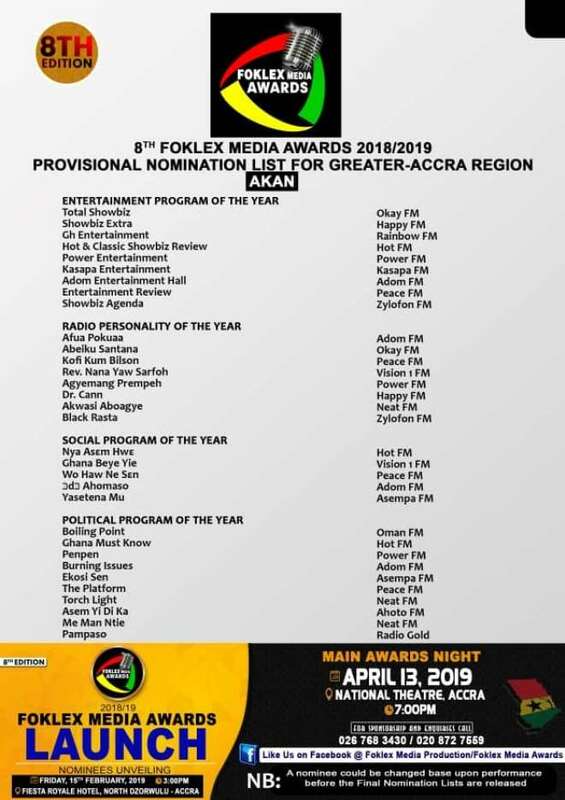 Nomination for the eight edition of the Foklex Media Awards has been released and some personalities and programs on Accra-based popular radio Station;Hot 93.9FM made it to the list this Year. 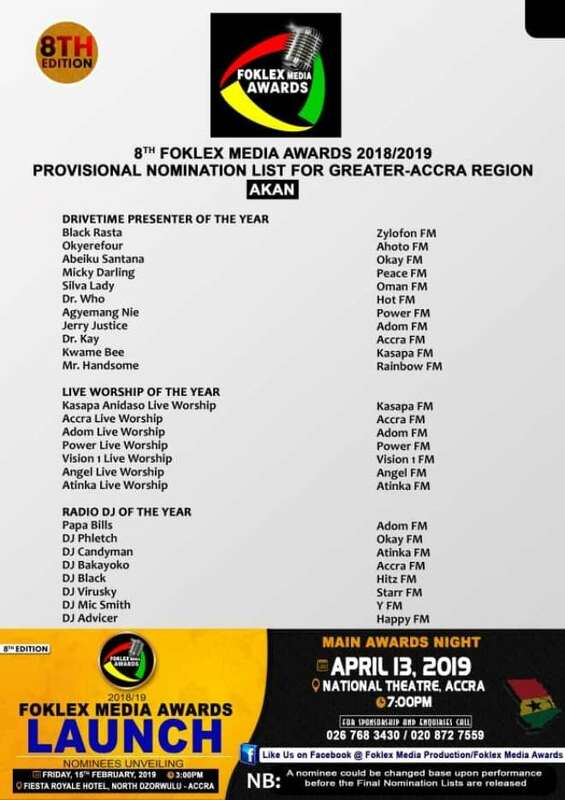 Some of the personalities from Hot 93.9FM who made it to the list include Appiah Kubi(Kasapa),Dr.Who,Akua Serwaa,Justice Kwaku Annan and Boama Darko. Appiah Kubi, was nominated for Best Male Newscaster of the Year. Akua Serwaa,was also nominated for Best Female Newscaster of the Year. 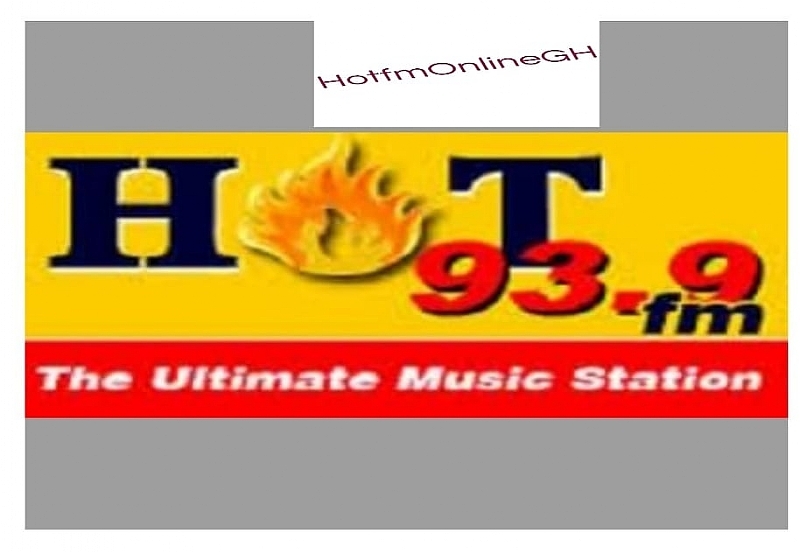 Dr.Who, host of ‘Hot Rush Our Drive’,was nominated for Best Drive Time Show host Of the year , whiles Boama Darko,host of ‘Maakye’ was also nominated for Best Morning Show host Of the Year. ‘Ghana Must Know’,an investigative/socio-political show hosted by ace investigative journalist,Justice Kwaku Annan was nominated for Best Political Show of The Year. ‘Nyasem Hwe’,hosted by Kofi Yesu Tamakloe, was nominated for Best Social Program Of the Year. ‘Hot And Classic Showbiz Review', hosted by Dr.Who, was nominated for Best Entertainment Program of The Year. The nominees, will compete for the ultimate Gold Award in the various categories. The Foklex Media Awards, which will be held on April 13, 2019, at the National Theatre in Accra, recognizes excellence and hardworking Radio Personalities who have endeared themselves to their listeners. Check Hot Fm’s nominees in the list below!